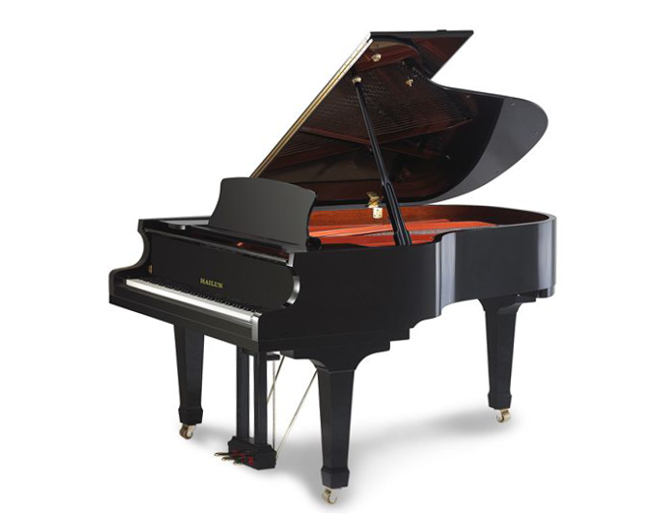 The 6’5″ Hailun HG 198 Grand Piano has a full and colorful tone. The powerful bass is well balanced with a clear and singing treble. Created by renowned Engineer Frank Emerson, with over 20 years combined experience in Research and Design for the Baldwin Piano and Organ Company and Mason and Hamlin Piano Company, the HG 198 is designed for artistic expression. L: 198 cm / 6’5"
W: 147.5 cm / 58"